• Before or at the time of collecting Personally Identifiable Information, we will use our best efforts to attempt to identify the purposes for which information is being collected. • We will collect and use Personally Identifiable Information solely with the objective of fulfilling those purposes specified by us and for other compatible purposes, unless we obtain the consent of the individual concerned or as required by law. • We will only retain Personally Identifiable Information as long as necessary for the fulfillment of those purposes. We will collect Personally Identifiable Information by lawful and fair means and, where appropriate, with the knowledge or consent of the individual concerned. • We will protect Personally Identifiable Information by implementing reasonable administrative, technical and physical security safeguards against loss or theft, as well as unauthorized access, disclosure, copying, use or modification. • We will make readily available to customers information about our policies and practices relating to the management of Personally Identifiable Information. If at any time you wish for us to NOT contact you, please notify INFO@integritystaffing.com. We are committed to conducting our business in accordance with these principles in order to ensure that the confidentiality of Personally Identifiable Information is protected and maintained. • Information You provide to us when You register with our website, including Your first and last names, physical address, e-mail address, telephone number, and Social Security Number. • Information You provide when completing a profile on our website, including first and last names, gender, age, date of birth, education status, employment status, relationship status, hobbies, and other interests. • Information You provide when You subscribe to a newsletter or other periodic report or notification that we provide, including Your first and last names and e-mail address. • Information about Your device or computer, including Your IP address, browser type, domain names, access times and referring website addresses. • Information about Your visits to and use of the website, including how You use the website, such as the timing, length, frequency, and pattern of use, and the pages visited by the User. • Information relating to any use or purchase You make of our services or any other transactions that You enter into through our website, including Your first and last names, e-mail address, physical address, telephone number, and payment card information. • Information that You post to our website for publication on the website or on the internet, including first and last names, user names, profile pictures, and the actual content of any information You post. • Information contained in or relating to any communication that You send to us or send through our website, including the content of the communication and any metadata associated with it. B. Storage and Transfer of Personally Identifiable Information. Integrity Staffing Solutions may store and process PII in the United States or any other country in which Integrity Staffing Solutions or its affiliates or agents maintain facilities. By using Integrity Staffing Solutions’ website, you consent to any such transfer of information outside of Your country. Integrity Staffing Solutions collects and uses Your Personally Identifiable Information to operate this website and to provide its online and electronic services. The collection of Your name, e-mail address, and physical address during account registration enables Integrity Staffing Solutions to provide services to You and send You any requested newsletter(s) or to send You any requested mailings or offers. Information concerning Your geographical location is used to provide regionalized information to Integrity Staffing Solutions’ customers. Integrity Staffing Solutions automatically collects and uses information about the device or computer You use to access to the website to maintain the quality of its service and to provide general statistics about website visitors. This information may be shared with other Integrity Staffing Solutions’ websites and may be used to track time/attendance if You are placed on an assignment. Except as otherwise stated below, the Personally Identifiable Information You provide on this site will not be shared with any third-parties. Integrity Staffing Solutions reserves the right to share such information with its affiliates and clients as needed without Your permission. 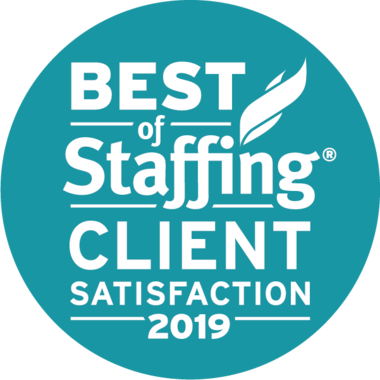 Integrity Staffing Solutions may hire other companies to provide limited services on our behalf, such as sending newsletters, providing customer service, and performing statistical analysis of our services. We will provide those companies only the PII that they need to provide us with such services, and we prohibit them from retaining or using that PII for any other purpose. Integrity Staffing Solutions reserves the right to disclose Your PII, without notice, if required to do so by law or in the good faith belief that such action is necessary to: (a) conform to the edicts of the law or comply with a judicial proceeding, court order, or legal process served on Integrity Staffing Solutions or the website; (b) protect and defend the rights or property of Integrity Staffing Solutions or one of Integrity Staffing Solutions’ website; and, (c) act under exigent circumstances to protect the personal safety of respective employees and applicants of Integrity Staffing Solutions, users of its website, or the public. Integrity Staffing Solutions provides links to send e-mail messages to this website for Your convenience and we will use Your e-mail address to reply to Your inquiry. Integrity Staffing Solutions tracks the pages on this website that our customers visit in order to determine which areas of the site are the most popular. This data is used to deliver customized content and advertising within the website to customers whose behavior indicates that they are interested in a particular subject area. In the event that Integrity Staffing Solutions sells all or part of its business, makes a transfer of assets, or is otherwise involved in a change of control transaction, or in the unlikely event of bankruptcy, Integrity Staffing Solutions may transfer information from or about You, including PII, to one or more third parties as part of that transaction. We sometimes supplement the information that we receive that has been outlined in this Policy with information from other sources and companies. Such outside information includes updated delivery and address information from carriers or third parties, which enables us to correct our records for future communications more easily; account information, and page-view information from some merchants with which we operate co-branded businesses or for which we provide technical, fulfillment, advertising, or other services; search term and search result information from some searches conducted through the Web search features; and search results and links, including paid listings (such as Sponsored Links from Google). Integrity Staffing Solutions utilizes reasonable technical, administrative, and physical safeguards to secure the PII You provide from unauthorized access, use or disclosure. PLEASE BE AWARE THAT, ALTHOUGH WE ENDEAVOR TO PROVIDE REASONABLE SECURITY FOR INFORMATION WE PROCESS AND MAINTAIN, NO SECURITY SYSTEM CAN PREVENT ALL POTENTIAL SECURITY BREACHES AND WE CANNOT GUARANTEE THE SECURITY OF PERSONAL INFORMATION. BY USING THIS WEBSITE, YOU ACKNOWLEDGE AND AGREE WE MAKE NO SUCH GUARANTEE, AND THAT YOU USE THE WEBSITE AT YOUR OWN RISK. Cookies are used for convenience and to save You time when You next visit this website. The purpose of a cookie is to tell the web server that You have returned to a specific page, so that when You visit the site again, the experience will be personalized. You have the ability to accept or decline cookies. Most Web browsers automatically accept cookies, but You can usually modify Your browser setting to decline cookies if You prefer. You may also choose to be logged into the site automatically. If You choose to decline cookies, You may not be able to fully experience the interactive features of this website or the other websites that You visit and You may experience technical problems receiving current information from such cookie-disabled websites. Integrity Staffing Solutions’ website pages may contain electronic images known as web beacons—also referred to as single-pixel gifs—that permit Integrity Staffing Solutions to count users who have visited those pages and to collect other related website statistics—(e.g., recording the popularity of certain website content and verifying system and server integrity). Web beacons are not used to access Your personal information on Integrity Staffing Solutions website; they are solely used to compile aggregated statistics concerning the use of the Integrity Staffing Solutions’ website. Web beacons collect only a limited set of information including a cookie number, the time and date of a page view, and a description of the page on which the web beacon resides. Any Personally Identifiable Information or personally sensitive data that You disclose through posts or other public online forums hosted on this website, may be collected and used by others. We recommend caution when giving out personal information to others in these public online forums. Integrity Staffing Solutions encourages You to review the privacy statements of websites You choose to visit via hyper-links posted on this website so that You can understand how those websites collect, use and share Your information. Integrity Staffing Solutions is not responsible for the privacy policies or other content on third-party websites accessed through Integrity Staffing Solutions’ website. With respect to Your communications preferences, You can unsubscribe from communications by following the instructions included in the communication You receive. If Your e-mail address has changed and You would like to continue to receive communications, You will need to access Your account and update Your e-mail address information in Your account and sign-up again for the communication. Occasionally, Integrity Staffing Solutions will send e-mails concerning website disruptions, new services and other news about Integrity Staffing Solutions products and services. These e-mails are sent to all account holders and are not subscription-based. Such e-mails are considered a part of Integrity Staffing Solutions’ service to the users of its website. You can email INFO@integritystaffing.com to stop or change any of these notifications. If You are under 18, You may not use this website. This website is not targeted toward children under age 18 and Integrity Staffing Solutions does not knowingly collect Personally Identifiable Information from children under age 18. This policy is effective as of February 28th, 2017. Integrity Staffing Solutions welcomes feedback regarding this Policy. If at any time You believe that this website has not adhered to this Policy, please contact Integrity Staffing Solutions and we will use all commercially reasonable efforts to promptly determine and correct the problem. E-mail should be sent to info@integritystaffing.com.